Original Triangle Plus Series with Flying Triangles, Dots and Circles. White background with teal, tan and pink triangles light blue circle and silver background. Triangles in acrylic paint and spackle paste applied with painting knife. 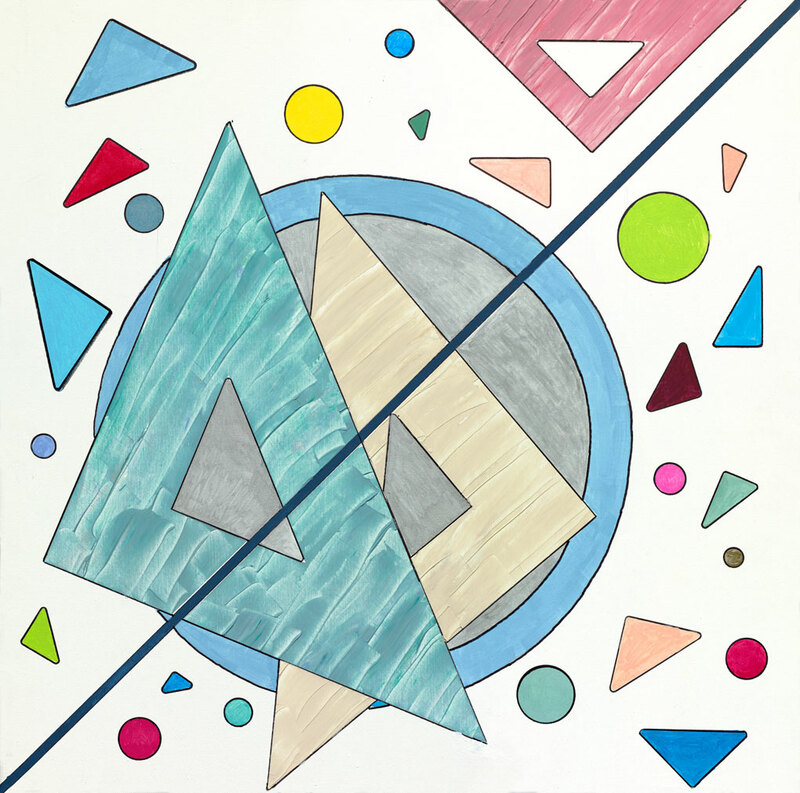 Flying triangles and dots with multi-color markers on stretched studio canvas.